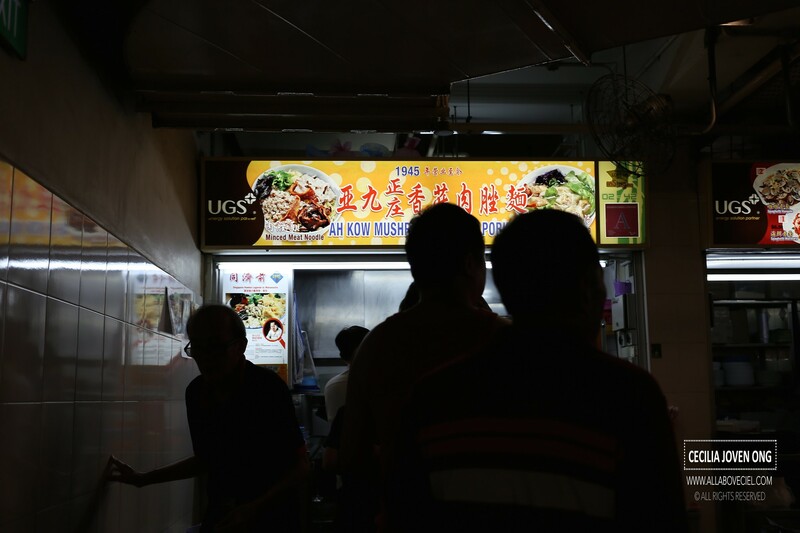 ALL ABOUT CEIL: Ah Kow Mushroom Minced Pork Noodle : How Long Would Such Authentic Taste Stay? Ah Kow Mushroom Minced Pork Noodle : How Long Would Such Authentic Taste Stay? They have been around for decades along, to be exact they started their business in 1945 for close to 70 years now. The 2nd generation is taking charge of the stall and is still serving authentic Teochew style Bak Chor Mee. 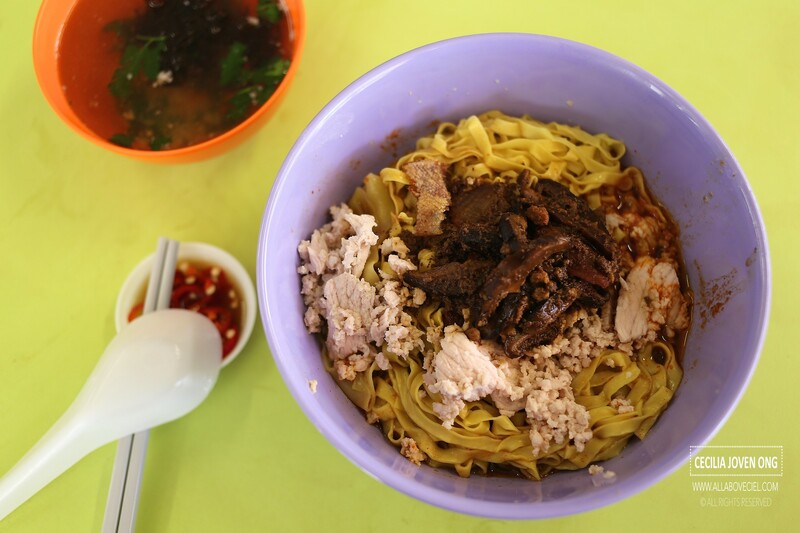 Their menu is kept simple with just Bak Chor Mee at $5 and $6 together with Teochew Dumpling Soup at $5 and $6 too. 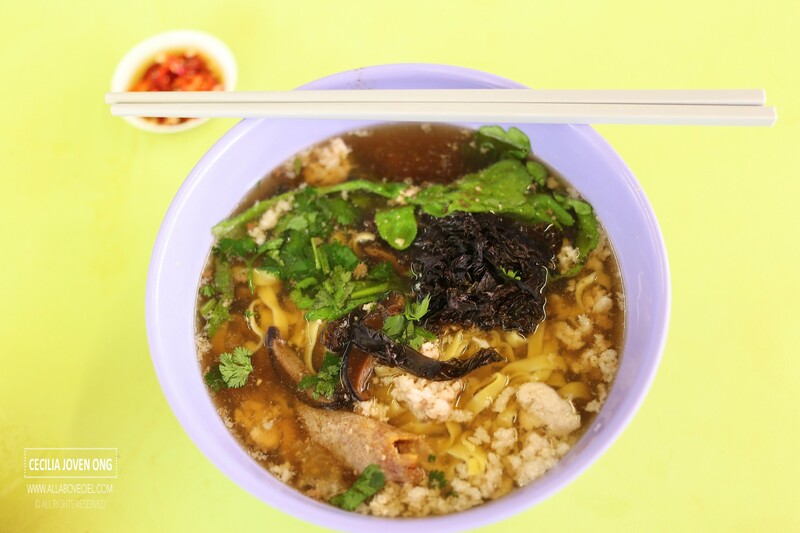 Most Teochew style Bak Chor Mee is known for the use of vinegar to enhance its flavor. As for this particular bowl of Bak Chor Mee, i could taste the distinct taste of rather good quality vinegar, though strong but not as overpowering as the famous Tai Hwa Pork Noodle. The soup version at $6 served with generous amount of ingredients like slices of lean pork and pork liver, braised mushroom, minced meat, dried seaweed as well as some vegetables. Even though you might see bits of minced meat floating in the soup but it was not as flavorful as expected to be, in fact, it tasted quite bland. The dry Bak Char Mee is definitely a better choice. The braising sauce for the mushroom was used as part of the sauce mix, together with chilli, soy sauce and dash of vinegar, the combination tasted quite flavorsome. The mee pok was lightly blanched to retain its desired springiness. The dumplings were quite tasty even though the skin was slightly too thick. There is a slight drop in the standard but it is still better than most average Bak Chor Mee out there. It reminded me a bit of my favourite Bak Chor Mee from the already closed Joo Heng Mushroom Minced Pork Mee stall if lesser vinegar is added. I know i could never find a replacement as i have been looking for a while since their closure about 2 years ago. I used to go there for 2 to 3 times per week till the friendly auntie could even remember my order that she did not even bother to ask me whenever i was there. Those were the happier days when i get to enjoy my favourite bowl of Bak Chor Mee so often. I could not help but wonder, how long more would Ah Kow's Bak Chor Mee been around since the owners are getting older and they do not seem to have someone to take over their cooking and stall. That is the reason why they are operating for only 3 days a week now as they could no longer cope with the laborious bit of working as hawker. I could not quite imagine if these pioneer generation hawkers retired. Would such an authentic taste still stay? 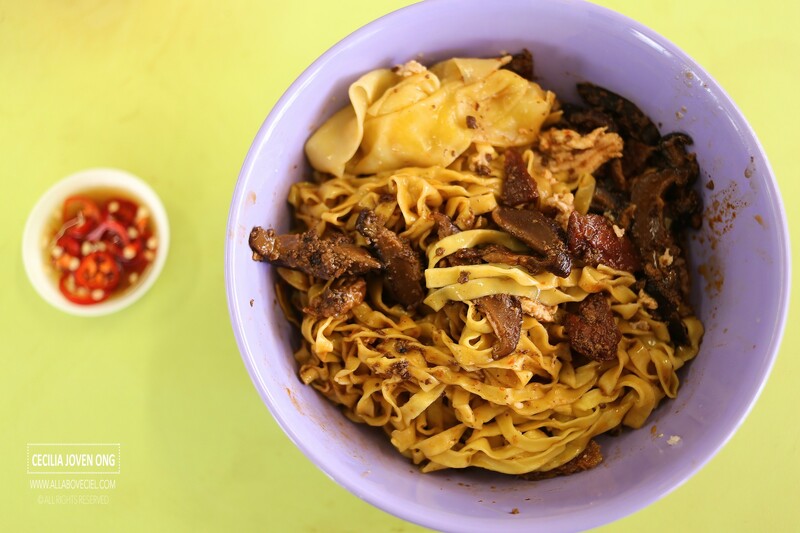 Would the younger generation still able to enjoy a bowl of traditional Teochew style Bak Chor Mee in time to come? I am really not sure.